I have been a nature photographer since I was first handed a 1970's vintage Vivitar point-and-shoot. According to my mom, it was a camera with a PhD ("Push here Dummy"). Despite its quality (ahem), I later migrated to a Pentax K1000, a wonderful little 35mm manual film camera that I'd still recommend for those with a learner's permit. Finding my favorite film is now an art in itself, and I have transitioned to digital cameras, but if you catch me off-guard, I'll tell you that I still secretly like film. I'm a pianist of sorts: jazz and classical. Ok, so don't look for me at Carnegie Hall, but I do perform now and then, and it's my favorite way to relax. My parents are musicians, I attended Interlochen Arts Academy for two years, played French horn for 20 years, and generally steeped myself in the musical scene. I've climbed Kilimanjaro, and I've climbed and skied various peaks in Alaska and around the world. I have skied across Greenland, spent a summer on the Agassiz Ice Cap (Ellesmere Island near the North Pole), and accumulated waaaay too much time (months) living in a tent on the Worthington Glacier near Valdez, Alaska. What can I say, I like snow. If I'm not backpacking, kayaking, or lost in the wilderness, then I'm probably skiing. I'm a former extreme skier. Yeah, I was only stupid for a few years, and it was back in the days before big air was a requirement, but I used to drop the gnarliest couloirs I could find. Got hurt. Don't recommend it. So now I ski bumps, trees, summits, and not-quite-so-extreme couloirs whenever I can. It's a great way to get to those out-of-the-way shots. I'm a Guest Professor at Regis University and affiliate faculty at the University of Colorado. For many years I was a tenured "Chair of the Department", a thankless bureaucratic nightmare from which I've escaped back into the wilds to focus full time on art rather than paperwork. You've probably guessed that I am happiest when traveling inaccessible corners of the globe. Deep down, I think it's akin to wishing I could move to the metaphorical "wild west." Yeah, I should have been an 18th century explorer, but somehow I got trapped by 20th-century explorations of art, physics, and math, which is a good thing because I really like modern abstractions. At any rate, this intense desire to explore certainly fuels my larger landscapes and abstracts. And those long childhood walks in the woods with the Vivitar kindled my interest in the smaller more intimate side of nature, as seen in my close-ups of flowers, textures, and wildlife. Just want the quick facts? I am an award winning artist focusing on both nature and mixed-media photography. My artwork is frequently seen in major museums such as the Smithsonian and can also be seen in National Parks and in exhibits at notable galleries such as The Dairy Center, Rembrandt Yard, The Canvas, and the Hartman Gallery. My art has been highlighted in many magazines and popular calendars including Nature’s Best Photography, the National Wildlife Federation, and Defenders of Wildlife. 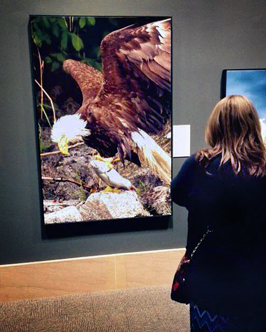 I have been the Artist in Residence at Glacier Bay National Park, received a Windland Smith Rice International Photography Award (one of photography’s highest honors), been the Boulder County Open Space Artist in Residence at Caribou Ranch, and been a Defenders of Wildlife Photography Contest winner. Following degrees from Harvard and the University of Colorado, I moved to the mountains west of Boulder where I have happily lived and photographed for many years. 2012 Artwork on display in Smithsonian, Wash. DC. 2010-2015 Solo and group exhibitions in the Smithsonian Natural History Museum, The Dairy Center, Rembrandt Yard, Hartman Gallery, The Canvas Gallery, Sitka National Historical Park, Anchorage Museum, Morris Thompson Cultural Center, Tongass Historical Museum, Boulder County Courthouse, Glacier Bay National Park, and many additional venues. 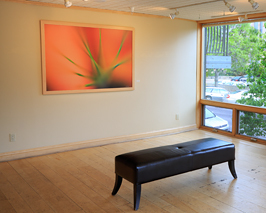 Tequila Sunrise, 40 by 60 inches, at the Rembrandt Gallery, Boulder.